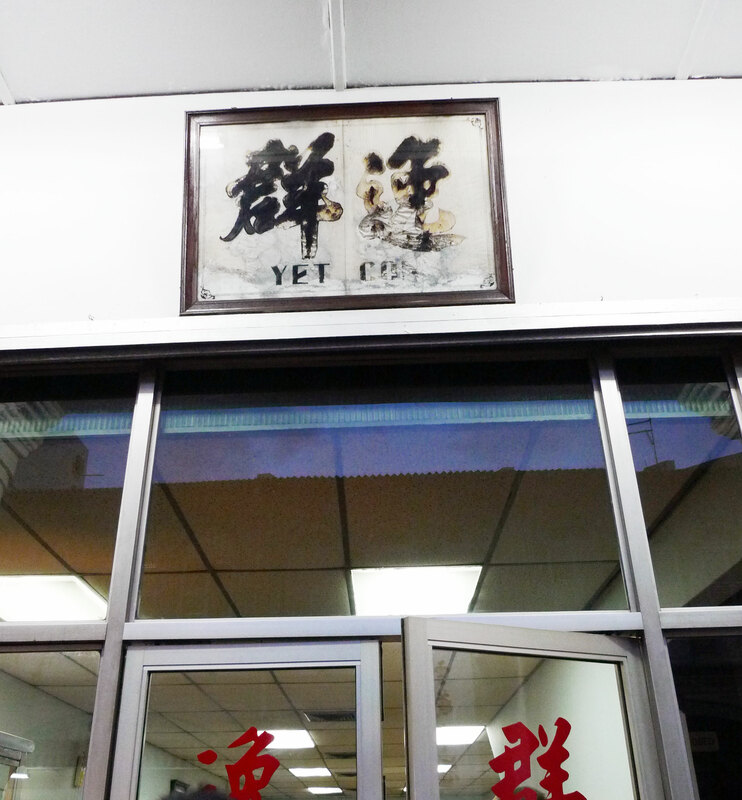 Somewhere along the middle of Purvis Street, in the shadow of the looming National Library Building, there exists a small old-fashioned Hainanese steamboat restaurant known as Yet Con. 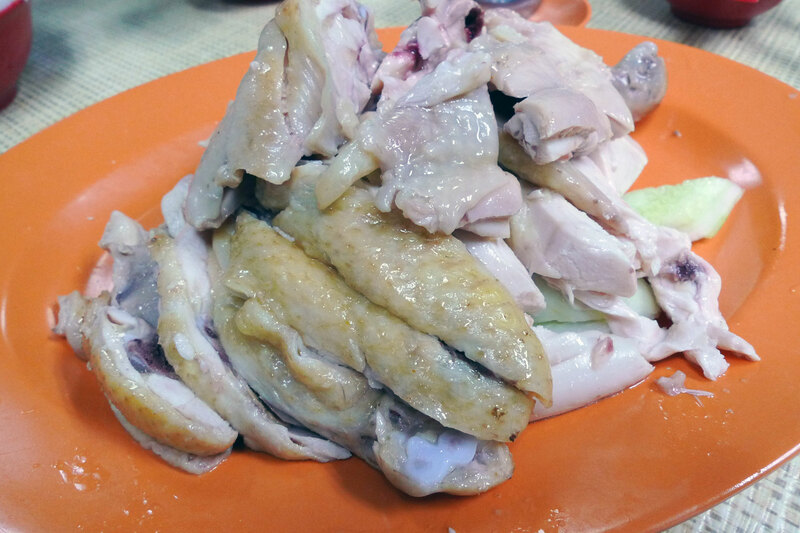 But besides steamboat, they also serve up Hainanese chicken rice! Which you can watch them chop up from the outside. 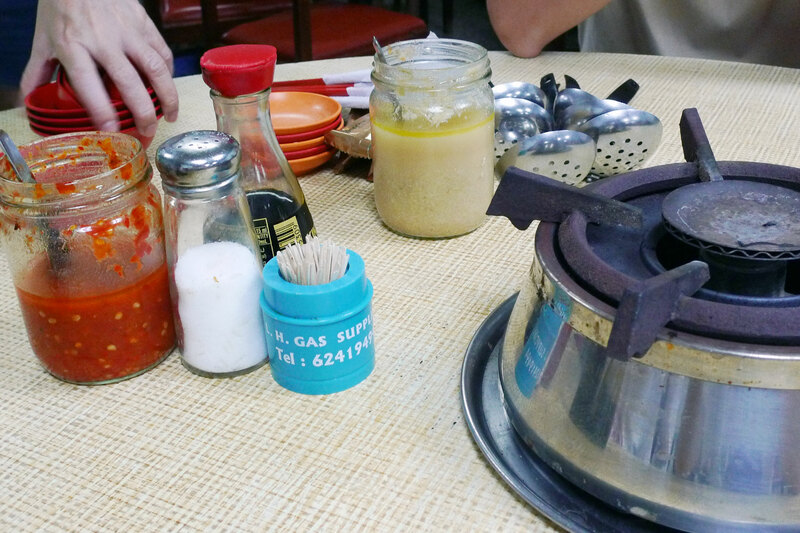 As you can see, all their steamboat stuff is pretty old school, from ladles to the stove. 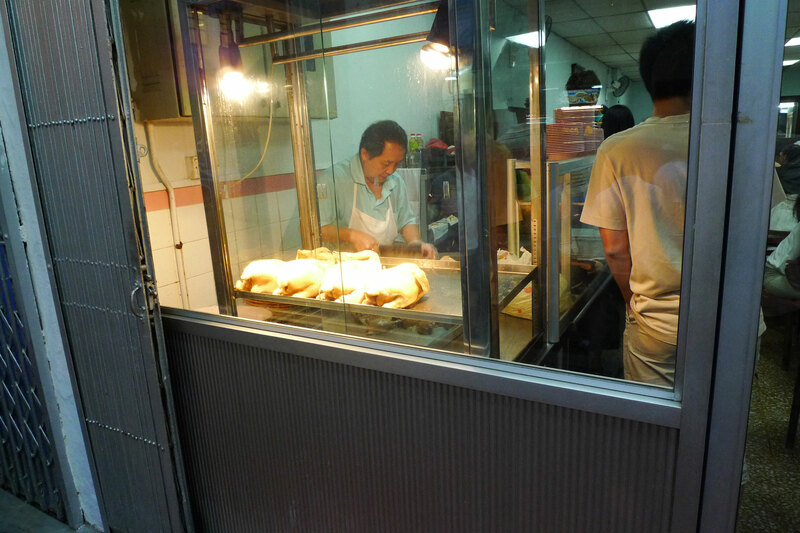 The nice juicy chicken! Not very oily at all. 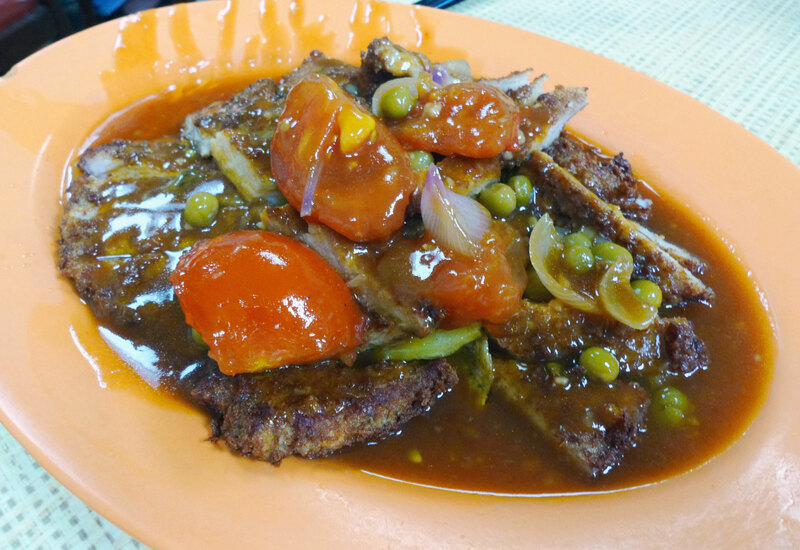 And this is their Hainanese pork chop, the sauce is very tasty! 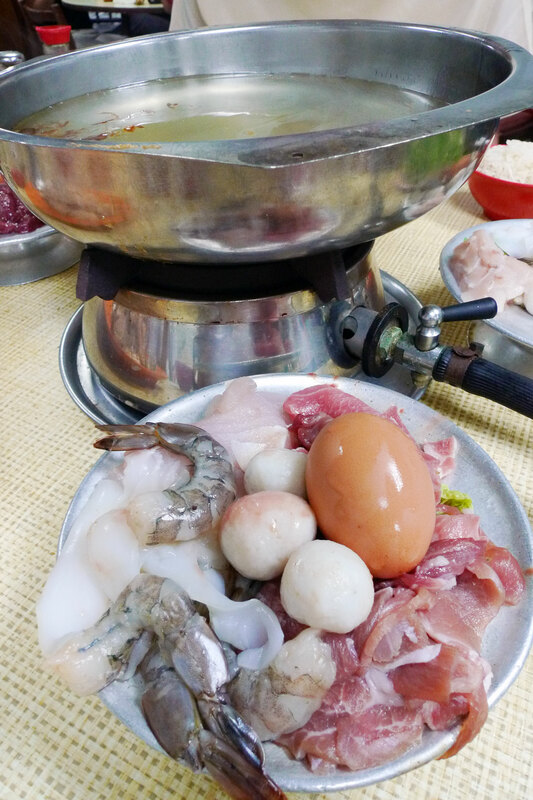 Ingredients for the steamboat, which you can now see placed on the stove. 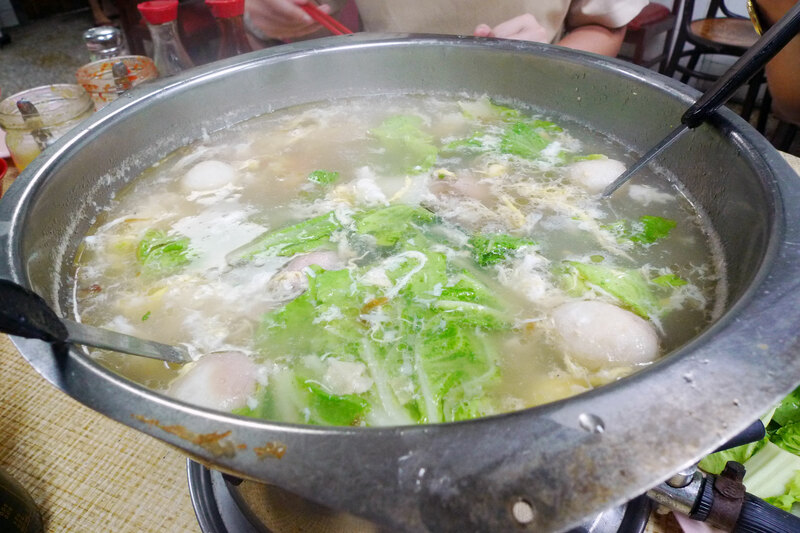 And this is the steamboat with a bunch of ingredients inside and lots of veggies added in. Ironically I prefer their non-steamboat stuff to the steamboat. But still it’s a nice cozy place with an old-fashioned feel to it. Come to Yet Con if you’re feeling nostalgic!